Home Technology Jio Prime Recharge Website Down, Reliance Ends Summer Surprise Offer ! 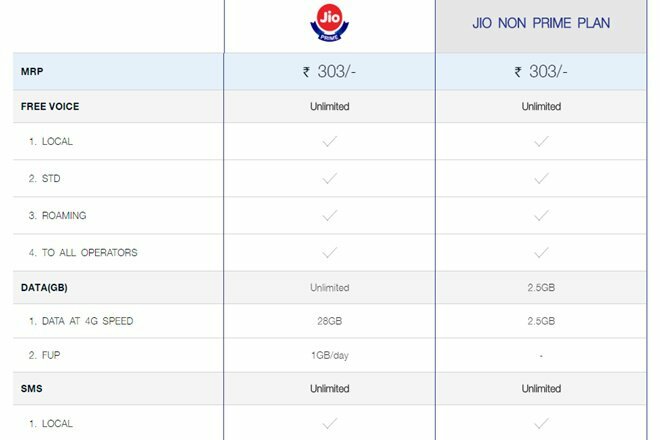 Jio Prime Recharge Website Down, Reliance Ends Summer Surprise Offer ! Jio started offering first 4 months of paid 4G internet for customers on recharge of 303 only conditionally the user must be prime member to the service. As expected result, the website of Jio went down on the last day of recharge which was 31st March 2017. Keeping the response in consideration Mukesh Ambani extended the service claiming Special offer for JIO PRIME MEMBERS which was referred as Jio Summer Surprise Offer. Summer Surprise Offer can only be availed with a recharge of 303 or higher. Most of the customers are preferring 303 and 499 rs recharge to avail free services. However, Because of TRAI Notification, Jio needs to end Summer Surprise Offer soon than scheduled date which was 15th April. The offer which came up with promise of 3 months of complimentary services along with first recharge of Rs. 303 or higher seems to ending up today or tomorrow only. However today at 00:00, Jio Prime Recharge Website Down, which indicated Reliance Ends Summer Surprise Offer. But after few moments, website started working very much fine once again. It seems that website had a technical glitch which ended up soon. Its highly advisable to the visitors to recharge from Jio Website or application to avoid any issues. Currently its confirmed that the recharges of 303 and 499 from PayTM are not processing since last few hours and a confirmation is awaited. There is a high certainty that Reliance will try to give maximum benefit to the customers. Another important is, Jio have used the words “Technically Feasible” in the recently released notice. This notice itself a proof that Jio is not likely to end Summer Surprise Offer on weekend. Since most of the working staff will be on holiday on weekends, its not much Technically Feasible for any company to end up an offer so soon. Previous articleApple iPhone 8 Rumors: To Be Equipped With A11s Procesor & No Home Button?